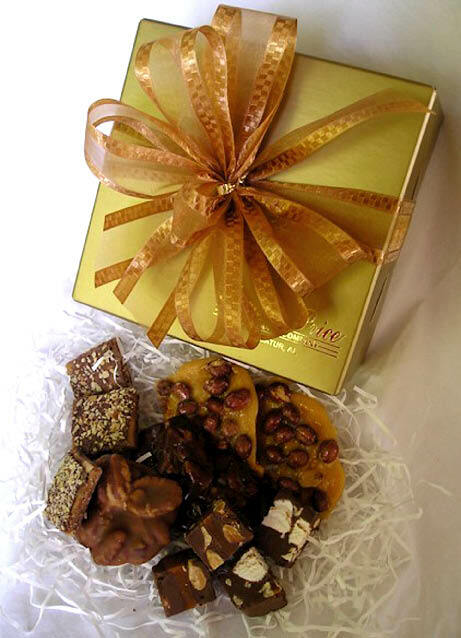 An assortment of favorite candies - English Toffee, Angel Bites, Heavenly Bits, Cheese Straws and Peanut Brittle - different styles available to represent your company best! 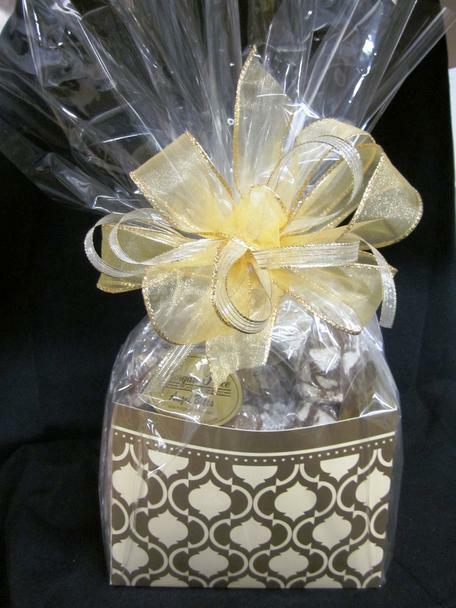 Gold wire star basket to show off a simple assortment of our homemade candies. 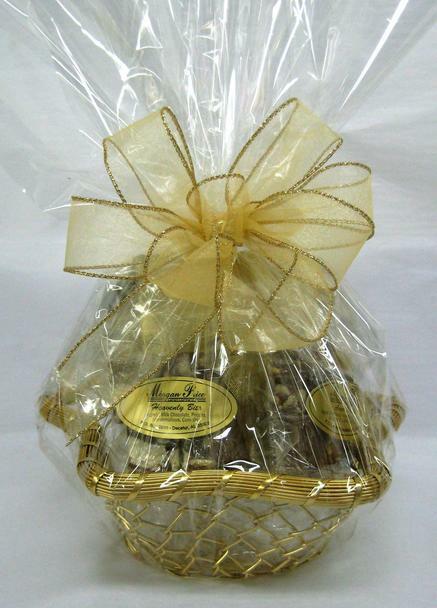 Medium size assortment of chocolates, English Toffee, nuts, cheese straws and other delightful treats. Silver star-shaped wire basket filled with an abundance of our candy, nuts, and other treats - a great keepsake to use in the home or office. Shop for any of the items you see here in our STORE!